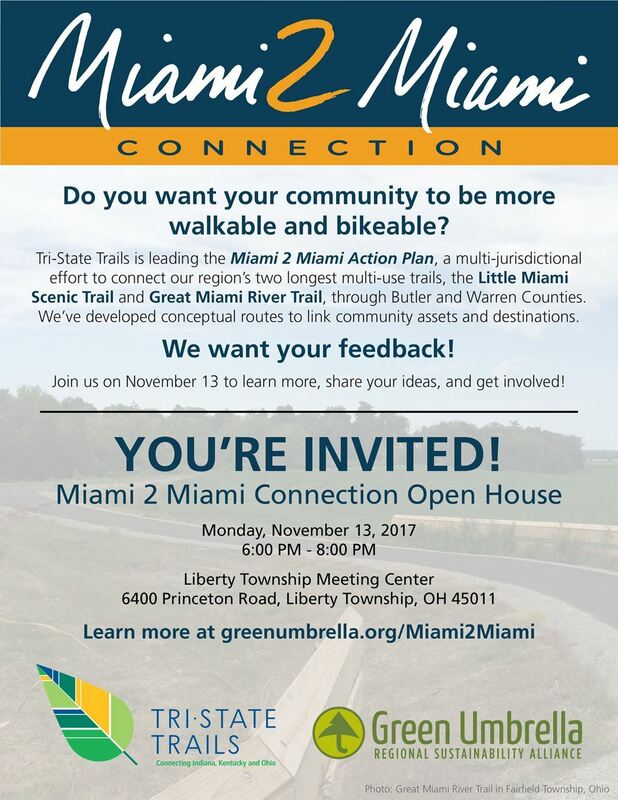 Tri-State Trails is leading the Miami 2 Miami Action Plan, a multi-jurisdictional effort to conect our region's two longest multi-use trails, the Little Miami Scenic Trail and the Great Miami River Trail. We've developed conceptual routes to link community assets and destinations, but we want your feedback! Join us on November 13 to learn more, share your ideas, and get involved!